The history of the WABBA (World Amateur Body Building Association) began on the return flight of Mr. Olympia 1975 from Pretoria (South Africa) to Paris. Serge Nubret, top body builder and movie actor, became runner-up after Arnold Schwarzenegger, the Mr. Olympia, and could banish Lou Feringo, the giant from New York, to the third place. A sensation because Nubret just weighted about 92 kg. But by then a tougher body builder has never been seen before. At that time Serge Nubret set new standards relating to brawniness and definition. Additionally he was an European who came from Paris. On the return flight there was also the former Italian delegate of the IFBB Bruno Piccoli from Verona. They discussed about the interdepences between the international IFBB-association, headed by Ben Weider, and the economical concern Joe Weider, which also was editor of various B.B.-magazines in the USA. In accordance with bylaws of the IFBB, only championships which are sanctioned by the international IFBB-association get officially accredited. But this is difficult to arrange with Joe Weider’s “Mr. Olympia”. Because if it is said like this – and they always said it that way – it is a private event of the Weider Concern whose owner is Joe Weider (according to the bylaws of the IFBB). But between brothers many things should be possible. Serge Nubret talked with Joe Weider about this matter, which probably ended in discord. They also disagreed about the trophy money of 1,000 $ for the first place of “Mr. Olympia” in the professional division. Again there was a conflict about that. Serge Nubret resolved to found a new world association for amateurs and professionals together with Bruno Piccoli where only the association itself organizes the European and World Championchips or put other member countries in charge to do it. 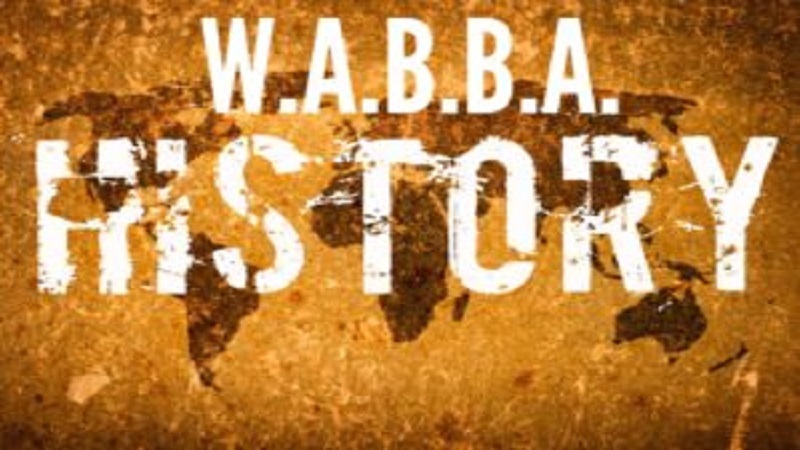 Finally, the WABBA was founded in 1975 and then in 1979 the first WABBA championship, the WABBA-Euro-Contest, took place in Saarbücken (Germany). Host was the DBBV e.V. under the direction of Jean Posing of Athletik 2000. Jean Posing was a Luxembourger who already ran a body building studio in Saarbrücken in the early 70ties and published the body bulding magazine Athletik 2000. Together with like-minded people he had founded the DBBV e. V. and one of his youngest combatants was Werner Pink, who later became president of the SBKV e. V. –IFBB-Saarland. Posing had the best contacts to France, England, Belgium, the Netherlands and Luxembourg so at this time it was already possible to participate in relativly many contests of the WABBA. Athlets like George Henricks, Hubert Metz, Wilhelm Hauck, Juspus Wilkoz and Karl Link, only to mention a small number, could be admired there. The first WABBA championship took place in Paris in 1977 and was announced for amateurs and professionals. The champion of the professionals, Sergio Olivia, gained 10,000 $ and it was a great championchip. Everyone who had rank or name and came from Europe or the USA was there to take part. Wilfried Sylvester, John Citrone, Achmet Enüli, Dave Johns, Robbi Robbinson and many more. At this time there weren’t existing any barriers and every athlet was a free sportsman and could compete where he/she would like to. The standard was accordingly high. Serge Nubret had reached an agreement about a collaboration with the NABBA-England, directed by their president Oskar Heidenstam. So every athlet of the WABBA or the NABBA could participate in the European or World Championships (organized by the WABBA) as well as in the legendary Mr. Universum, which Bill Perl, Frank Zane, Boyer Coe, Chris Dickerson, Sergio Olivio and Arnold Schwarzenegger already won. The collaboration lasted until about 1984. Thenceforth the way of the NABBA and the WABBA got seperated again. The English coined a “NABBA International” and began to organize their own European and World Championships, whereas both associations tolerated the athletes’ decisions about where they wanted to compete. The opinion was and still is that a democratic association only could include free athletes! The Miss & Mister Universe Gallery ONLINE! Copyright © 2019 WABBA WORLD. All Rights Reserved.